Good oral hygiene should be something we pay a bit more attention than most of us actually do. 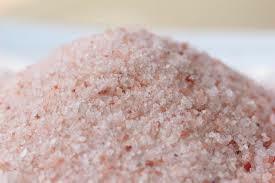 Himalayan pink salt is a gentle abrasive that not only cleans the teeth but being salt makes you salivate, an antibacterial barrier is created to help protect tooth enamel. A complaint of many homemade toothpastes and powders is the taste of salt. Hard to avoid that completely being the ingredients are what they are, but once people get used to it and see the results they aren't satisfied with their old favorite any longer. Tooth powders are often blended with coconut oil to form more of a toothpaste. 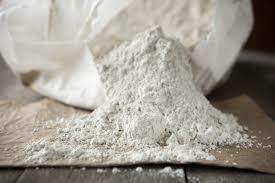 This blend is left in the dry, powder form for those who prefer a dry form that lasts indefinitely. Do not use with children until they know how to spit and not swallow the toothpaste. Carefully pour or use a spoon to dip out a bit of powder into a cup or the palm of your hand and then dip a wet toothbrush into the powder. Dipping a wet toothbrush right into the jar is an option but this method could introduce bacterial growth. You only need a bit on the toothbrush to do the job. Brush for the usual 2 minutes or so and rinse. An option is to leave the paste on your teeth a few minutes before rinsing for extra remineralization. Kept dry this powder should last indefinitely.